Economic euthanasia can be defined as a condition in which euthanasia is elected based primarily, principally, or to a large degree on the cost of veterinary medical care; a condition in which veterinary care is bypassed based on the anticipated cost of care, and the progression of illness leads to euthanasia; or a condition in which veterinary care is sought and minimal or no testing/treatment is elected based on the costs of care, resulting in eventual euthanasia. In the midst of a societal economic crisis, veterinarians are faced with daily conflicts between our desire to help animals and relieve their suffering, and our clients' difficulties in meeting the increasing costs of our medical capabilities. The most common complaints on the Internet regarding emergency and specialty hospitals are directly related to the costs of care. Sentiments such as, "They cared more about the money than they did my animal" abound. We feel personally hurt and affronted by these accusations. I suspect each of us has experienced examples similar to those listed below which cause us moral stress and diminish our fulfillment of clinical practice. Emotional reactions including guilt, anger and regret often accompany these experiences. A 12-year-old Shepherd dog is seen for evaluation of progressive lethargy and declining appetite of one to two months duration. Radiographs confirm a large abdominal mass. You advise surgery as the only means of improving the animal's condition, with an uncertain long-term prognosis. After reviewing the estimate of costs, the clients ask you how long Shepherds of this age are expected to live. The clients elect euthanasia and ask you if they are making a reasonable decision; you concur. They ask if it would have been less costly to intervene had they brought the animal in sooner. A 12-year-old Spaniel is seen for progressive cough of 12 months duration. The animal feels well in all other respects. Mrs. Jones remarks that the cough now has a significant impact on the dog's quality of life. You discuss possible causes of coughing and advise a battery of tests to discern the cause. You inform the client that many patients with chronic cough can be successfully managed with lifelong medications and periodic monitoring. An estimate for the costs of testing is prepared, and you are asked to call Mr. Jones. You present the rationale for testing and remark that the dog seems in good condition except for the cough. Mr. Jones requests the dog be sent home while the family considers the costs of your plan. The dog does not return for testing. A six-month-old Cattle dog is seen for progressive coughing and dyspnea of one to two days duration. The dog lives on a ranch and access to rat poison is confirmed. Hemoptysis, dyspnea and cyanosis is noted. You discuss your suspicion of pulmonary bleeding due to rodenticide ingestion and inform the client that the dog is in poor condition due to compromised ability to breathe. You inform the client that intensive care and blood products will be needed to save the dog's life, with an excellent long-term prognosis. After reviewing the estimate for costs of care, the client informs you that the maximum she can spend is $500. You offer financing options, which are declined. The client requests euthanasia unless you can save the dog's life within her stated budget. How do we as a profession diminish the negative impact of economic euthanasia, such as in the examples described above, on our clients, ourselves and our patients? In an ideal world, each of our clients would have a medical fund put away for the eventual time in which a serious illness arises. What we have learned these past few years is that our patients do not have a safety net. I suggest that general practitioners take the time during initial puppy and kitten visits to inform and educate each and every client regarding the costs of maintaining an animal for 10-15 years, as well as the projected costs of medical care over this same period; it is our moral obligation to do so. To do otherwise is the equivalent of a physician handing an obese person medication for hypertension without discussing lifestyle and diet modifications. California Assemblymember Dave Jones, a member of the state legislature’s new Animal Protection Caucus, is championing a bill (AB 2411) to improve disclosures to consumers considering the purchase of pet health insurance. Pet owners deserve adequate disclosures when making their insurance decisions, not only to evaluate competing plans, but also to receive the coverage they intended to buy and not something less on account of confusion. AB 2411 is nearing its final hurdle in the Senate and should be on the Governor’s desk by the end of August. Informing our clients of available insurance and credit plans, and pointing out that the cost of a future major illness or injury can be thousands of dollars, is our duty as a responsible family doctor. I would also maintain that it is our ethical responsibility to provide information about any available resources—payment plans, credit options such as Care Credit, and humane society grants—if an illness or injury occurs and the family is unfortunately not prepared. If the mortality rates from economic euthanasia as defined above were tracked as an infectious disease, there would be clamor within the profession for a vaccine. It is only logical to believe that improved client financial education and preparation will translate into improved compliance and allow us to provide better medical care for our patients. In order to change the status quo, we must inform our clients of the financial responsibilities associated with pet ownership; in doing so, only then will we truly meet our own responsibilities as caring medical professionals. Consider pet health insurance. When doing so, be sure to research any exclusions for breed or pre-existing health conditions an animal may have. Create a medical fund for your animal companion and start saving. Obtain a credit card that you use only for your animal companion's medical bills. Include the cost of medical care for your animal companion in your family budget. Ensure that you have the financial resources to care for an animal prior to adopting one. More resources are available online at humanesociety.org. Dr. Kipperman is a 1987 graduate of University of Missouri College of Veterinary Medicine and obtained his board certification in veterinary internal medicine in 1994. He owns a 24-hour referral and emergency practice in Dublin, CA. Dr. Kipperman has published numerous articles on the topics of animal advocacy and veterinary ethics. 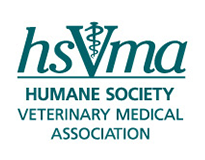 He is a guest lecturer in the ethics course at the UC Davis School of Veterinary Medicine and has presented symposia on standards of care and veterinary ethics at national veterinary meetings.